Explore articles and reports related to artificial intelligence for enterprise research planning, including applications for compliance, risk management, case management, and more. Most of the time when we have requests for speaking engagements here at Emerj, they're from business leaders. At the time this article was published, I just came back from a presentation at National Defense University in Washington DC. Presenting there was unique in many regards. Obviously, the use cases for tanks and submarines are quite different than they are for drug development or selling more products off retail shelves. We have discussed the importance of having the right talent in place when it comes to AI adoption in enterprise quite thoroughly here at Emerj. The scarcity of data science talent and its price point are one of the main reasons small businesses are not likely to adopt AI successfully at this time. Episode Summary: In this episode of the AI in Industry podcast, we interview Rajat Mishra, VP of Customer Experience at Cisco, about the best practices for adopting AI in the enterprise and how business leaders should think about the man-machine balance at their companies. NASDAQ estimates more than $5 trillion is traded every day in what it describes as “the most actively traded market in the word:” foreign exchange, or forex. 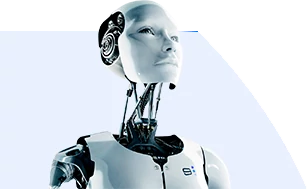 Business leaders might expect AI to make its way into the forex world the way it has into finance and banking broadly. Most companies claim to assist foreign exchange traders by predicting when to trade or hold onto currencies. As it turns out, however, Most of the AI vendors in the forex space are in fact only claiming to use AI. There is strong evidence to suggest that their claims are illegitimate. Applying Artificial Intelligence in B2B and B2C – What’s the Difference? We discussed the difficulties large businesses may have in adopting AI in our previous article; despite this, last month we fleshed out the reasons why it’s still more difficult for small businesses to apply AI than the enterprise and how they might catch up to larger businesses in the future.